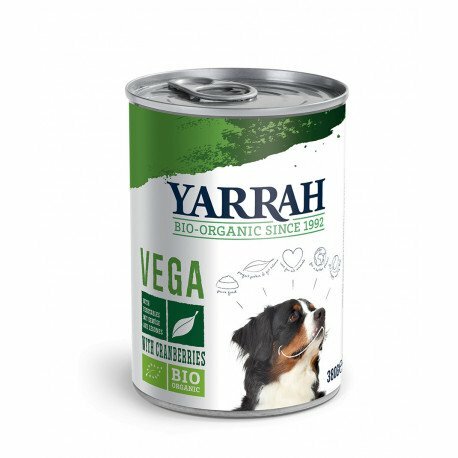 Yarrah has created a superior quality, appetizing vegan tinned food for dogs. 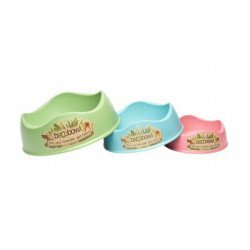 It is free of grains which are commonly known to trigger allergies in dogs. In addition to health benefits (see below) of a meat-free diet, this product provides an important contribution to animal welfare and a positive impact on the environment. Yarrah Organic Vegan is available in 380g tins and also in trays of 12. 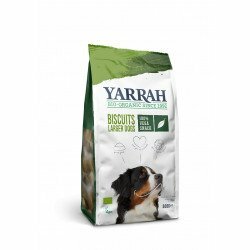 Yarrah’s vegan tin is a completely balanced meal for dogs that uses organic quality soya as the basis. Soya is rich in protein and supplies the required energy a dog would otherwise obtain from meat. 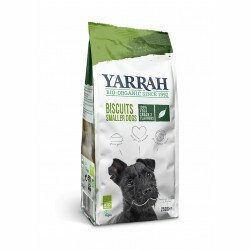 As you can expect from Yarrah, the soya is certified organic, which means it has not been genetically modified, nor has it been sprayed or treated with harmful chemicals that can affect the health of your dog. We added organic cranberries not only as an important source of vitamins and fiber, but these berries also have important nutritional benefits that will have a positive impact on the general wellbeing of your dog. 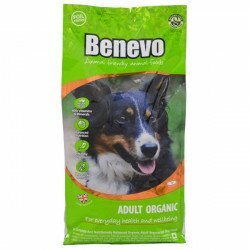 The organic lovage provides extra support for your dogs digestive system.